noPhoto: License plate device defeats red-light cameras. The noPhoto license-plate cover senses the flash of a red-light camera and emits flashes of its own to obscure the plate’s numbers. 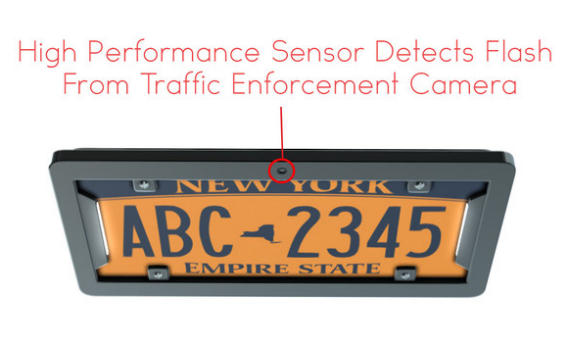 Don’t want red-light cameras snapping photos of your license plates? Here’s an idea: Don’t run red lights. But for those seeking an extra level of precaution, a new device promises a simple technological solution. It’s called noPhoto, and it senses and responds to the bright flash of a traffic camera with a flash of its own, shrouding your plate number in white light at the moment the camera takes its picture. 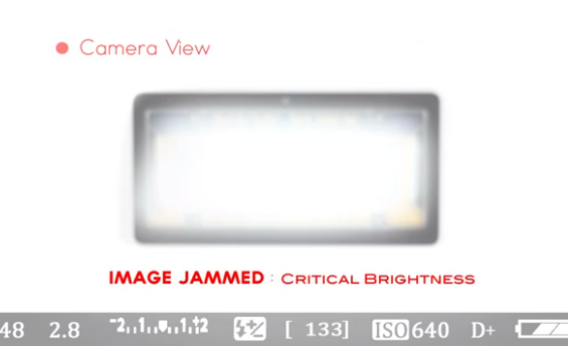 NoPhoto is designed to be triggered only by red-light cameras, which seems like a key feature. It would be a little embarrassing if it went off in response to, say, the flashing lights of a police cruiser. Creator Jonathan Dandrow, a self-described tinkerer with a love of cars and photography, is raising money for the project on the crowdfunding site indiegogo, where he had pulled in more than $18,000 as of Tuesday morning. He plans to sell the devices for about $350 each, or about the price of one red-light ticket in many jurisdictions. No doubt red-light cameras are controversial, and some people feel that they amount to invasions of privacy. (Courts have generally not agreed, noting that there’s no expectation of privacy on public roads.) But is noPhoto itself legal? Obscuring your license plates is against the law in most states, but Dandrow maintains that noPhoto skirts those statutes because it doesn’t physically cover the numbers. Whether that distinction would hold up in traffic court, it’s hard to say. But the frames do appear unobtrusive enough that they’d likely escape notice, at least until police start to catch on to what they look like. It’s worth noting that Dandrow apparently isn’t the first to come up with this idea. A company called Pro DB offers a similar-looking device that’s already available online for $399. But Dandrow seems to have superior PR: His sleek website and indiegogo campaign have been featured widely on tech blogs, while a Pro DB fundraising pitch on FundingGarage appears to be getting little love. The noPhoto’s flash obscures the license plate number. Is it legal?